Do you know what it is like to be outside of your comfort zone? I am naturally a people watcher, I would rather help hold up a wall or hang out in a corner than be the center of attention. I certainly am not one to ASK to speak to a few hundred people on a Sunday morning. God sees me differently though. He wants to use me in a way where He knows I will be completely dependent on Him to complete the task – unless I want to fail miserably, trip over my own two feet and fall flat on my face. All of which I was convinced was going to happen before I even started speaking. http://www.christianmomtalk.com/wp-content/uploads/2013/02/438_3396976.jpg 2400 3600 Sue Detweiler http://www.christianmomtalk.com/wp-content/uploads/2018/01/CMT-Trans-1-300x93.png Sue Detweiler2013-02-26 21:01:342018-02-01 13:03:09Are You Willing to Get Out of Your Comfort Zone? Sue Detweiler: The first day that I met minister Tamyra and her husband pastor Eric, they shared with me their desire to have children. I love to agree in prayer for those desiring to conceive so I grabbed a bottle of oil and I anointed Tamyra and prayed with them. I am rejoicing with them as they are expecting Selah Rose this spring. This is a unique name so I asked Tamyra to share how they chose this name. Tamyra Morris: “The Bible says in Proverbs 22:1, “A good name is to be chosen rather than great riches, Loving favor rather than silver and gold.” A good name is to be chosen, not just given. As parents we have been given the great privilege to choose our daughter’s name. And not just any name, but a good name. A God inspired name. A God given name. A name that means something and stands for something. A name that has Biblical meaning. How exciting, right? And because of this great responsibility, we have been pondering our children’s names for years and had our daughter’s name chosen a year or so before she was ever conceived. And I must say that it was definitely God given and God inspired. The meaning of her name brings our hearts great joy. The word Rose is referred to the flower known not only for its exceptional beauty and fragrance, but also as an enduring symbol of love. In essence, when we look at our daughter Selah or even call her name, we will be reminded to pause and think about the goodness of the Lord and praise Him! We praise and thank God for this wonderful blessing that we will soon meet face to face in the months to come. My husband and I are both honored to have been given the task to choose her name, but more importantly, to be chosen to be her parents. We look forward to the weeks, months and years ahead to share with her and be reminded of the goodness of God each day. Minister Tamyra and her husband Pastor Eric Morris lead the G Phi Nation youth ministry at Faith Life Church. With a warm smile and a winning personality Tamyra brings warmth and love on a weekly basis to the youth. 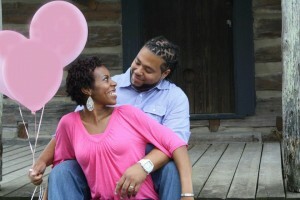 Tamyra and Eric are expecting their first daughter Selah Rose in the Spring of 2013. When her first daughter was only 5 weeks old, Sue was trapped in a house fire with her baby. After being delivered from the fire, Sue experienced the stress of trying to rebuild her life and home. Having such a difficult time as a first time mom has given Sue compassion for other moms who may be struggling with this role of being a mom. You can read more about Sue’s story in her book 9 Traits of a Life-Giving Mom. Come be refreshed, revitalized and rejuvenated with the passionate fire of God. Speakers include Monica Schmelter from Christian Television Network, Tondalanea Scott from Unlock the Champion and Sue Detweiler from ChristianMomTalk as well as workshop speakers and worship leaders from the Middle Tennessee area. The conference is FREE and sessions begin at 7pm on October 18 and 19 and 9am on October 20. Come with an expectant heart and bring a friend!